· Almonds can assist in weight loss. · Wild yams help promote fertility. · Berries, spinach, romaine lettuce and broccoli combat dry skin by stimulating oil and collagen production. · Tomatoes contain an antioxidant that can help prevent cancer. Gillian provides cutting-edge Food Action Plan Prescriptions incorporating the right foods, herbs and quick tips for over 100 everyday ailments. The solutions in this book are tried and tested and based on more than 15 years of consulting with clients in private practice. 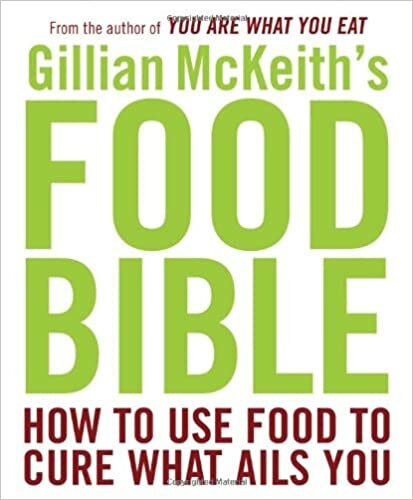 Gillian McKeith’s Food Bible will completely change the way you think about food.